> 1. A type of cured ham produced in Spain. > 2. 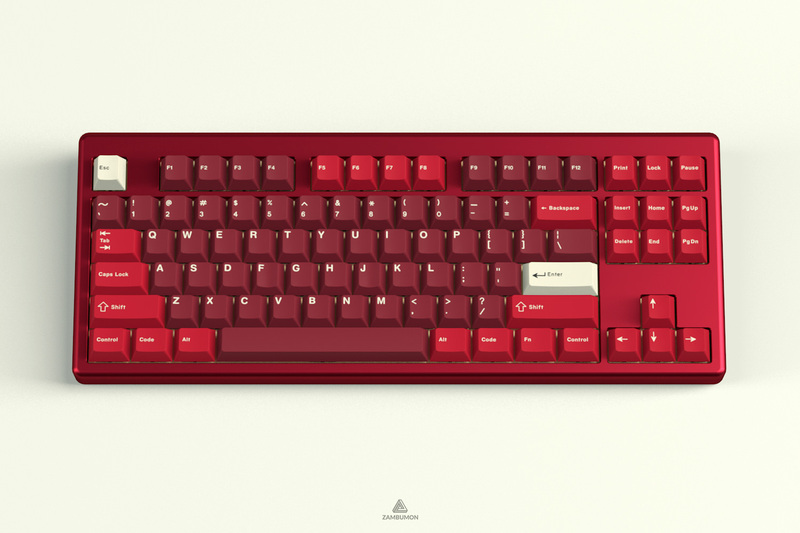 A custom keycap set designed by Zambumon. Made in Germany by GMK. Jamón is built around its Core kit, which is the starting point for everyone. 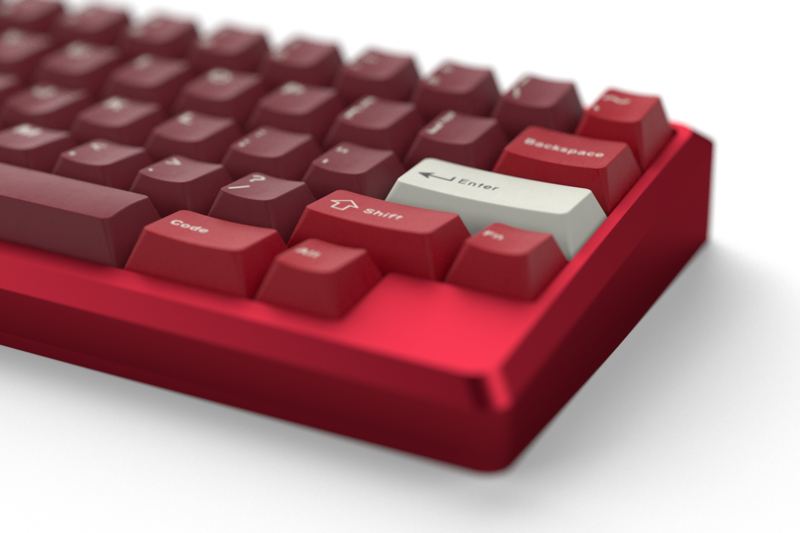 With just 116 keys, it provides coverage for most keyboards ranging from 60% to TKL form factors, including those with a WKL bottom row, split backspace, or stepped caps lock. 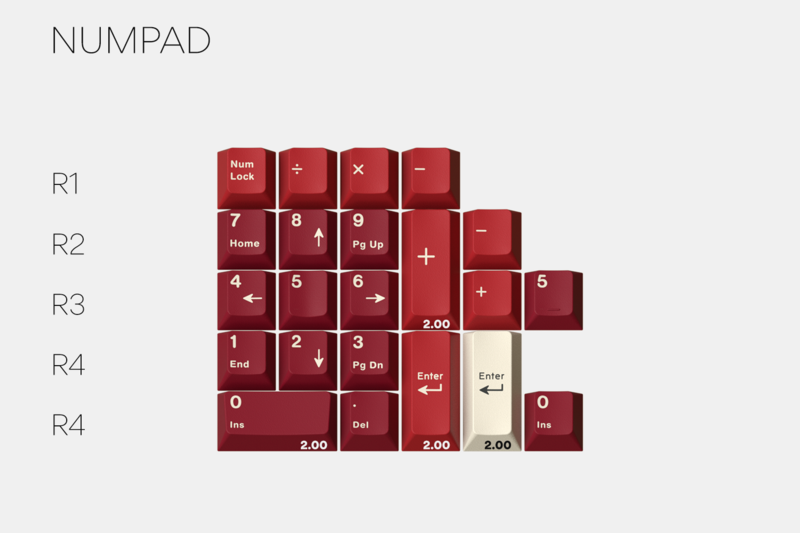 The numpad extension kits adds layout support for 1800, 96-key, and full-sized keyboards. An accent Enter key and extra compatibility keys have been included. A small extension kit that adds UK layout support for international layouts. 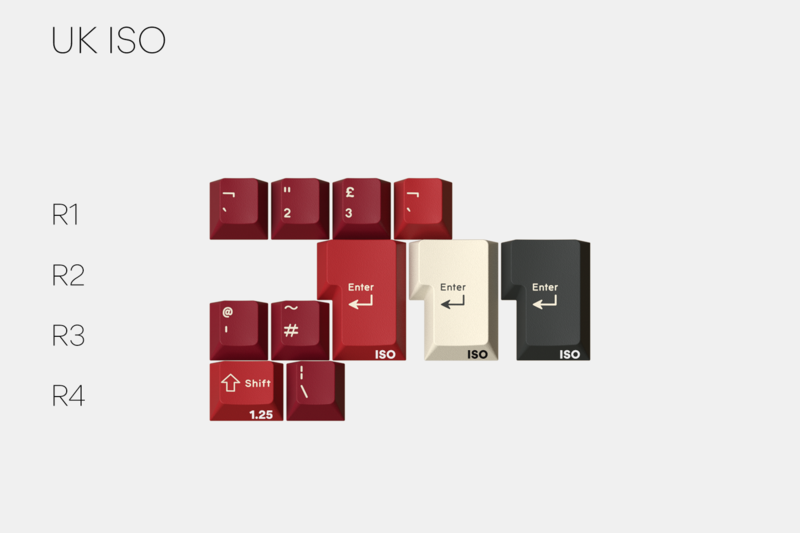 The kit comes with two ISO Enter accent keys, and an extra R1 1.00U `¬ key for color symmetry purposes. The Forties & Split kit was designed with two purposes. The first one is to provide layout support for ortholinear and other 40% keyboards, such as Planck, Vortex Core, or Percebe. 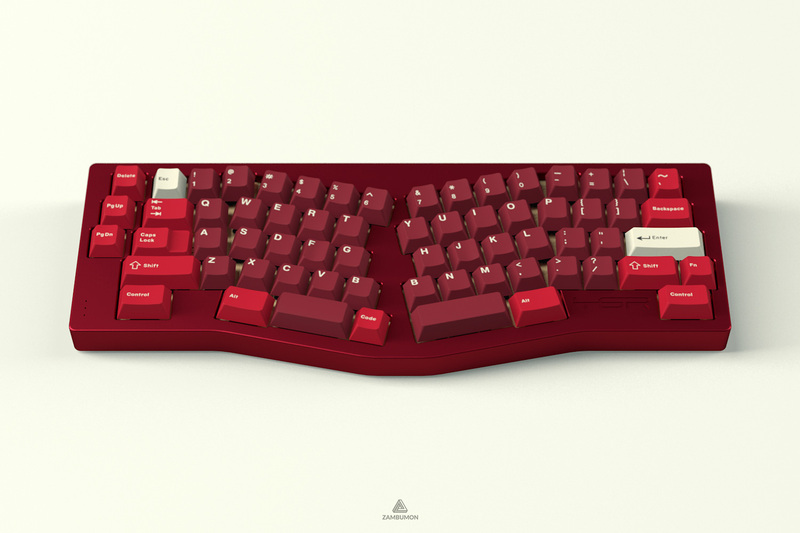 The second one is to add all the necessary keys, including a second B that many of them use, for ergonomic and split keyboards. 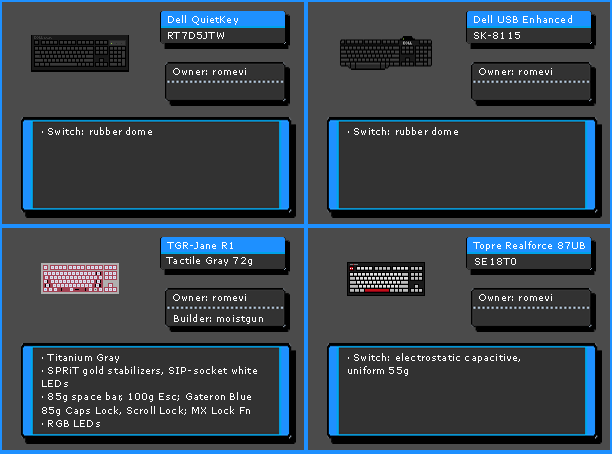 The spacebar kit provides a set of accent 2.00U, 2.25U, 2.75U, 6.25U and 7.00U spacebars. 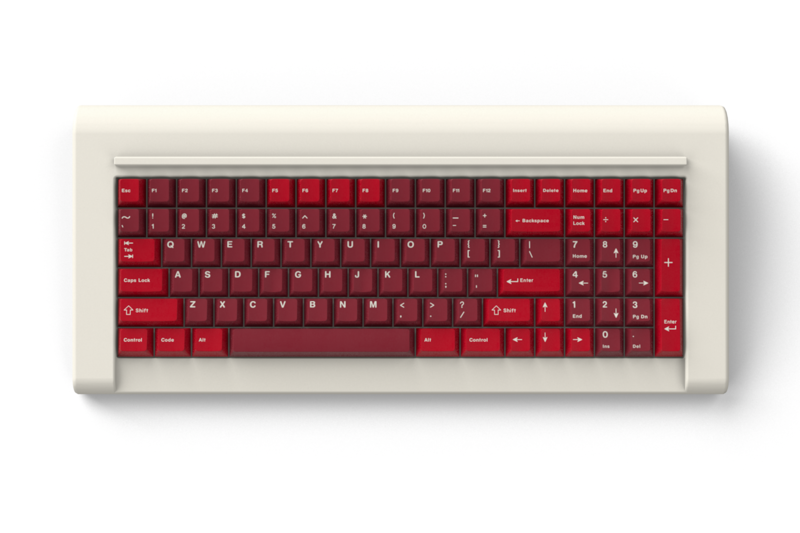 Additionally, it extends Jamón’s layout compatibility by including two 6.00U spacebars (one with a center stem and another with an off-center one) so you could cover an Uniqey C70, and Cherry G80-1800 boards. 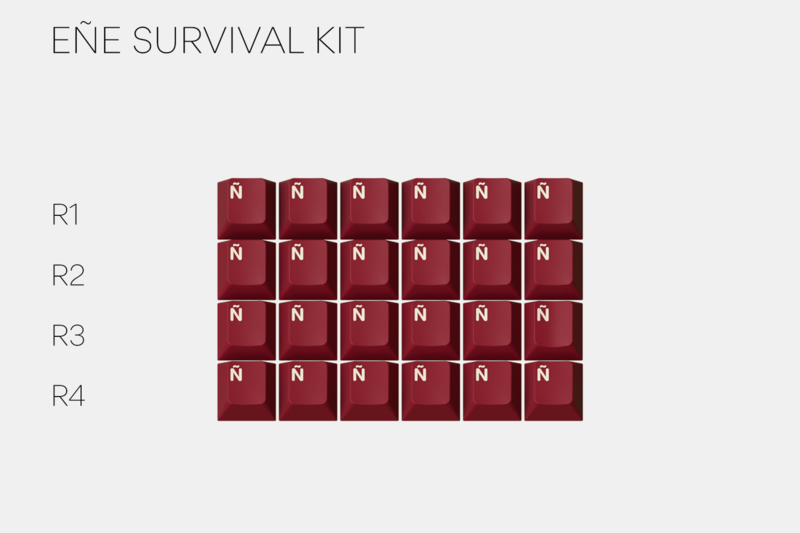 A novelty kit with a set of accent arrows, Esc, and Enter keys, a R3 Ñ with ANSI sublegends, and two Jamón related custom keycaps. 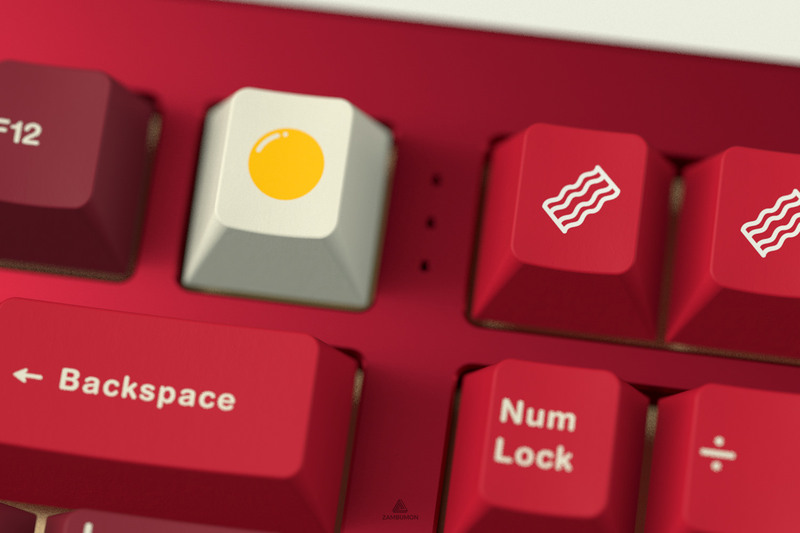 The kit also comes with four F-Row bacon strips, eggs, and bottom row bacon modifiers. To keep this post concise, I've trimmed the gallery to just a fraction of all the images available at the project page. **For more layout examples, and novelty renders, check out the project page. At first I thought it meant something else in another language, because surely someone wouldn't call a keyset "Ham." The joke starts to become reality. I’m not normally a “red guy” but I can really get behind these. Jamón is not just simple ham! GMK Coffee, Chocolatier, Mint Chocolate. Keyboards & food is always a good combination. Oh, I know. But when my family says to get "jamon" it usually just means the only kind of ham we buy. There's no other ham we eat as regularly. Barred numpad5 pls, jostles my johnnies when homing keys don't match. like the GMK mold. It’s a small difference but just slightly inaccurate. I am actually very, very interested in this set. - Add Ñ as a Row 3 key and : ; front legends as a key to the base or novelty kit. It's actually a usable key for those who type in Spanish. Can you list all the color codes. Appear to be stock gmk, but ya never know. There's a kit composed by 20 Ñ (including R3), which is a small reference to the joke that started it all. I'm not a huge fan of pad printing, but I'll consider adding the :; front print. That’s good to hear. I figured it was a figment issue. The two-line backspace has looked a bit inconsistent in all text mods. Not that this set has all text mods though. Give me this GOD TIER SET! Is there any plans on having "micons" and "Kobe" alternatives sets ? Let's hope I won't think of ham each time I'll look at this set but it clearly cant be named otherwise it's weirdly greasy-classy. No chances of having those two kits added, it just makes things difficult. In partially for a Jamón with Jamón photoshoot. Love the colors!. 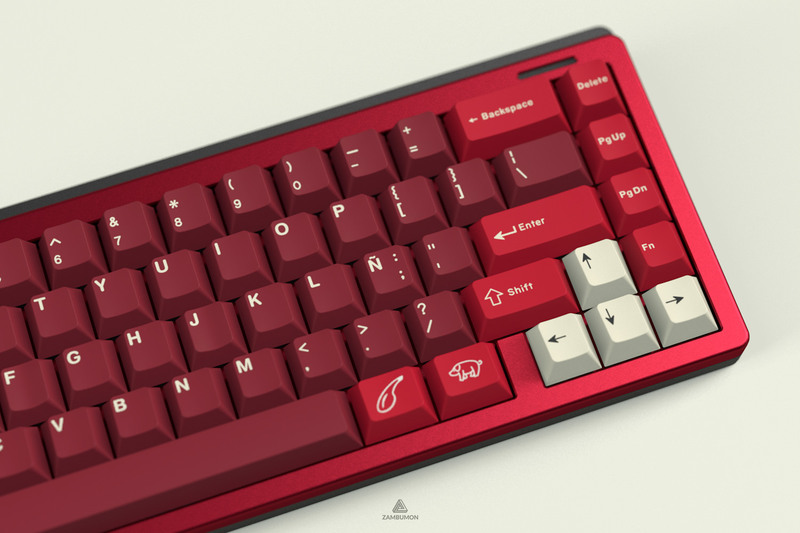 I would prefer a darker ESC / Enter, maybe an ibérico addition with the novelties? Definitely some of the novelties are black, as there's jamón ibérico "pata negra". Ah ok, excited to see the novelties then! Please include Ñ modifiers, not just alphas. + 2. I literally just want an Ñ set. Nothing else. +3, exactly what I'm looking for!! Also, the different shades of red looks great!! 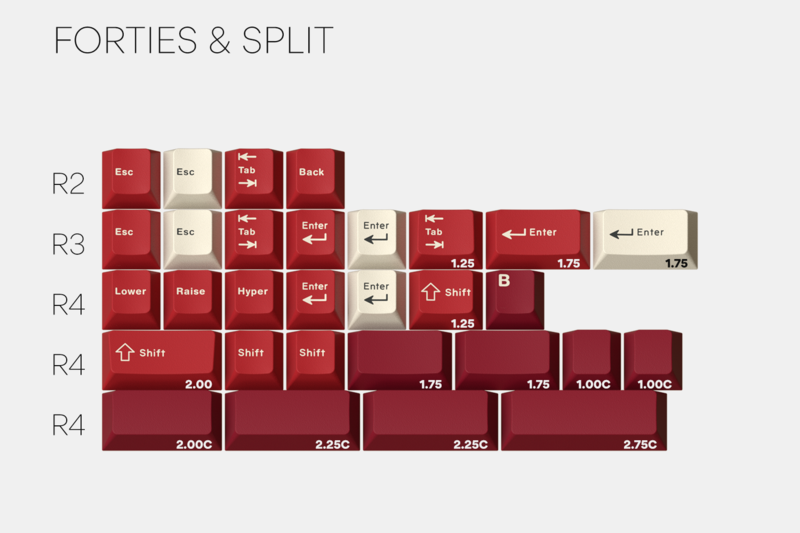 Please put the split spacebars in the spacebar kit, or the main kit, since the 40s kit will not make MOQ. Would love to see some of the geometries from Serika make their way into the novelties for this set. Also, were icon mods considered? If it is on MD, there is a high chance that everything will be made even if MOQ is not met. 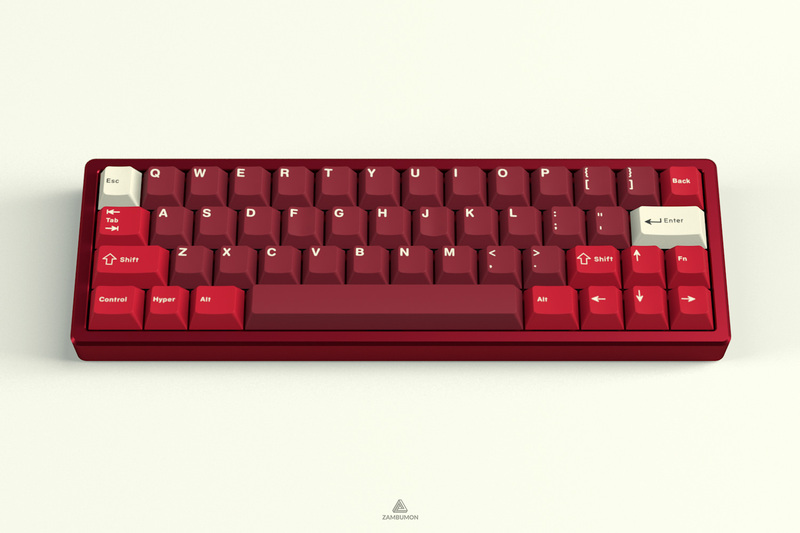 Is it possible to add in split space bar with Alpha colors in the spacebar kit? I don't really want to get the 40s kit just for 2.25 and 2.75 keys. That's what I had to do with serika. Even if the kit will most likely be made, it still seems like a cash grab putting the alpha-colored split space bars in the 40. Yea that was one of the reason i didn't get into Serika, but he did add them in Nautilus and i don't see why it can't be added here. For now, I've chosen not to offer it and unless and overwhelming amount of people are really interested on this set. The truth is that the international kit has only reached 100 Units twice (Nautilus and Laser. Carbon would have probably reached it too had the kit being offered at the same time as the main drop). Yes, other sets had an international kit get into production but those didn't reach the MOQ. This doesn't mean that I don't care about the International community, or that I'm not considering the kit but I chose not to add a render because taking it down later if there's not enough interest ends up with a thread full of complains about how it is a shame that the International kit was taken down and a couple "I'd even buy a couple sets to help reach the MOQ"
The same could be applied to Dvorak & Colemak. This kit was teased as a joke on April Fools, and it is meant to replace all the letters with just Ñ. Please keep that in mind, because as the kit doesn't provide any extra coverage. So in this situation, the smaller the kit the better, as more people will be keen on getting one as a silly purchase. Having a kit of just 20 or 25 keys is way more attractive, since it is large enough to cover a macropad or an external numpad, and with two of them you can cover the 60% alphas or even a Planck! Yes, having a large kit would probably cost slightly less than getting two of these kits, but otherwise people wouldn't get it. By having a small kit you can get more people to get the kit, and it would make things much easier if we think not only about reaching 100 units, but potential higher tiers. In order to accomodate scooped keycaps, cover all the 1.00U alphanumerics with Ñ, or even allow to fit a Planck (yes, I'm aware that the profile on a planck is usually 2-3-4-4, but I'm not going to keep adding more and more keycaps to this silly kit) with two kits, I'm adding 4 more keys to this kit: 1 1.00U, R2 1.00, R3 Scooped, R4 1.00. 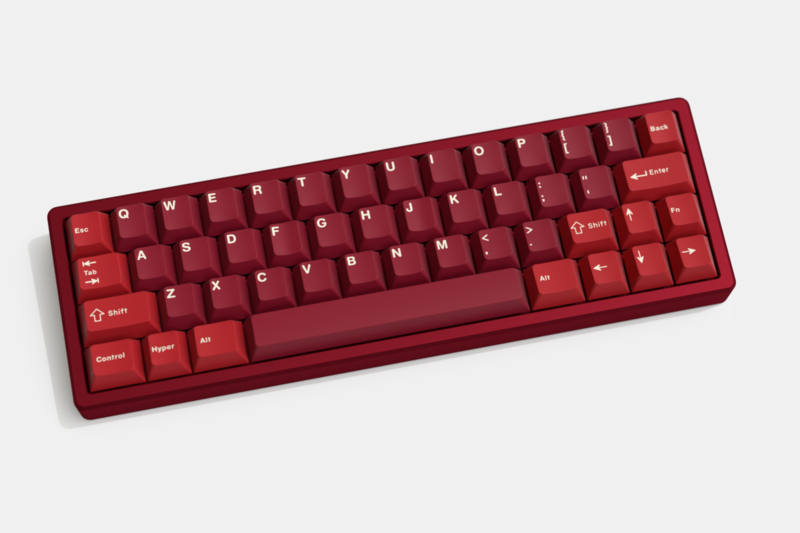 As these keycaps are meant to substitute the default alphas, and to make production easier, these keycaps will only be made with the alphas color. 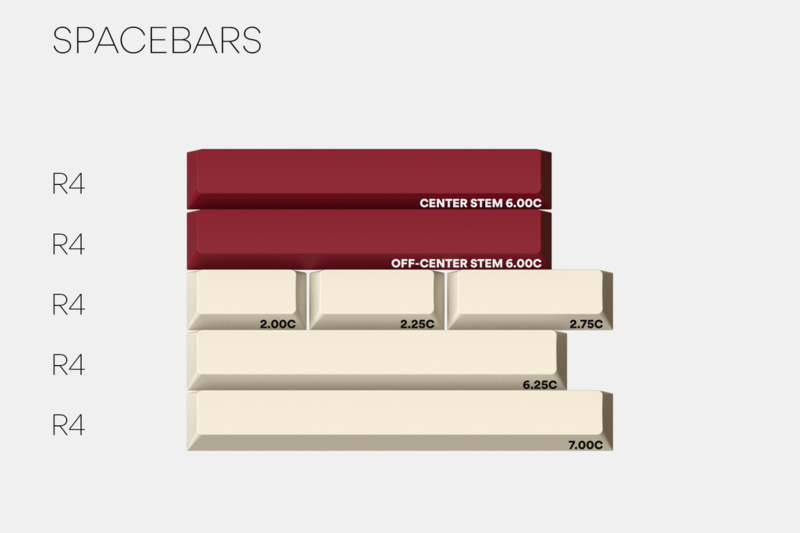 As the spacebar kit is accent spacebars only and it already includes split spacebars, alpha colored split spacebars will remain in the 40s kit and I do not have any plans to change that. 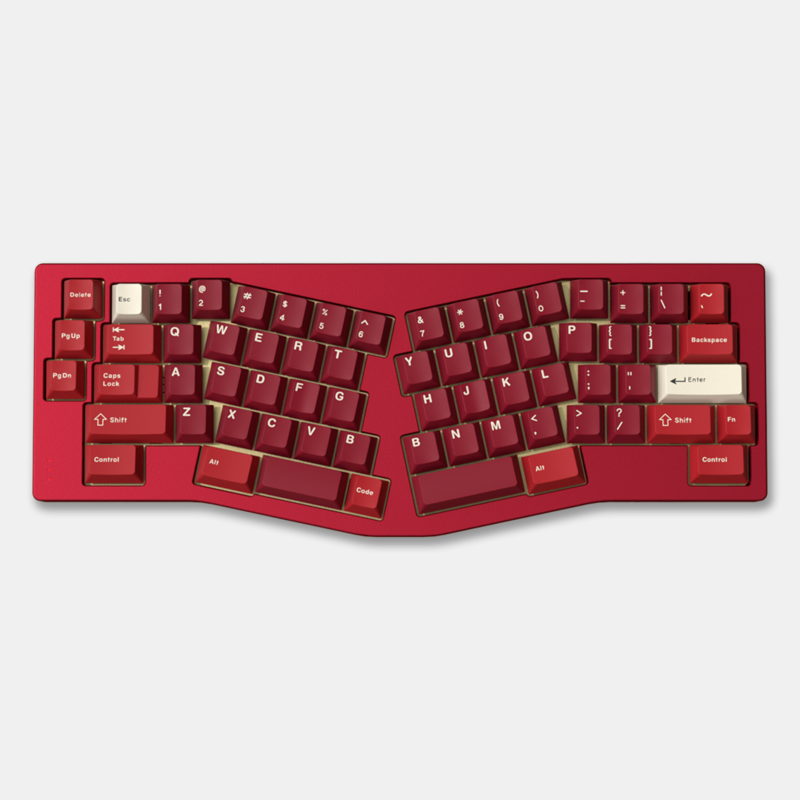 b) People that have purchased Ergonomic or split keyboards such as the VE.A or TGR Alice which aren't particularly frugal boards. c) People that have a 60% or 65% keyboard with a split spacebar. The first group (40% users) is the most common of the three, as the 40% community started some years ago and there are many popular 40s. The second group is composed by people that wouldn't mind getting the kit, or at least I can see why they would be bothered about it. Now, let's say that I add those alpha colored keycaps to the spacebar kit. Most of the keys would be dedicated to just 40s, with 14 "spacebars" just for them. 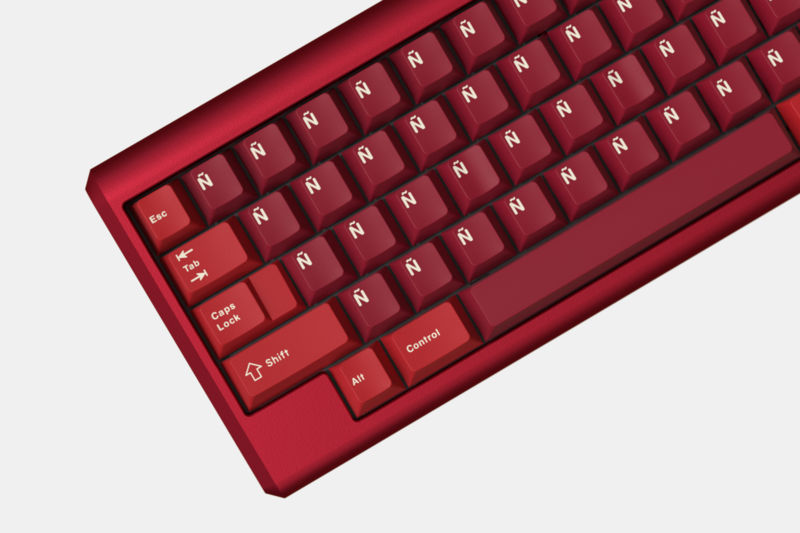 The "I don't really want to get the X kits just for a X keycap" could be also applied by most people that use a regular 6.25U or 7.00U spacebar. They could also ask "why doesn't the spacebar kit include alpha colored 7.00U spacebars but it includes those for split keyboards?" The solution I propose is a middle ground, it isn't ideal for some people, (60% split spacebar keyboards that want alpha colored spacebars) but would work for most. Although a stablished community of Ergodox users exists, the truth is that with each set that gets made, less and less Ergodox kits get sold, the only exception to this rule is if you label the kit as "Ergoplanck". This is because Planck (Contra sold 700 PCBs, Let's split builds are really popular, fairly regular Planck drops, and Rev.6 Planck PCB is coming) and Preonic users are the ones that are keeping alive this kits. If we combine this with the fact that due to the key sizes Ergodox kits end up costing quite a lot, that flat profiles are ideal for these keyboards because there isn't a standard layout and that the last time an Ergodox GB was done over a year and a half ago, covering this board isn't ideal unless you do it with XDA, or DSA keycaps (cheaper caps, with low MOQ, and flat profile which allows more layout options). 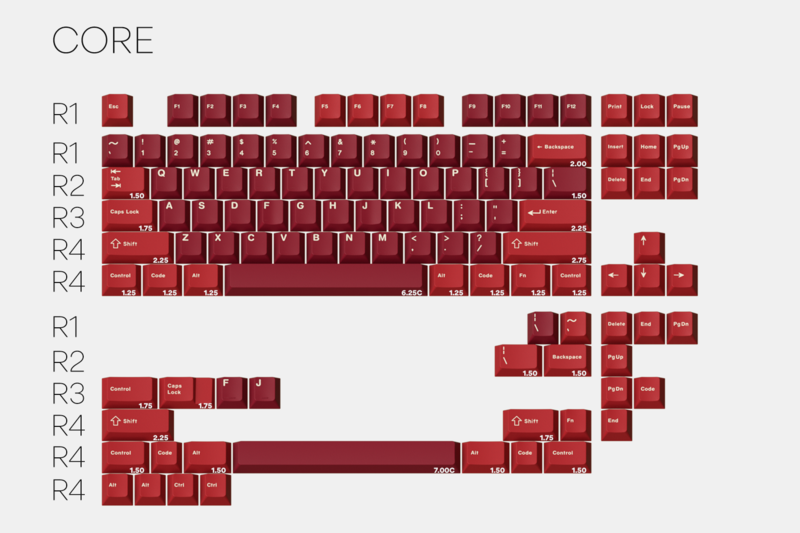 The novelty kit won't be huge, but it will have a fair ammount of keycaps. 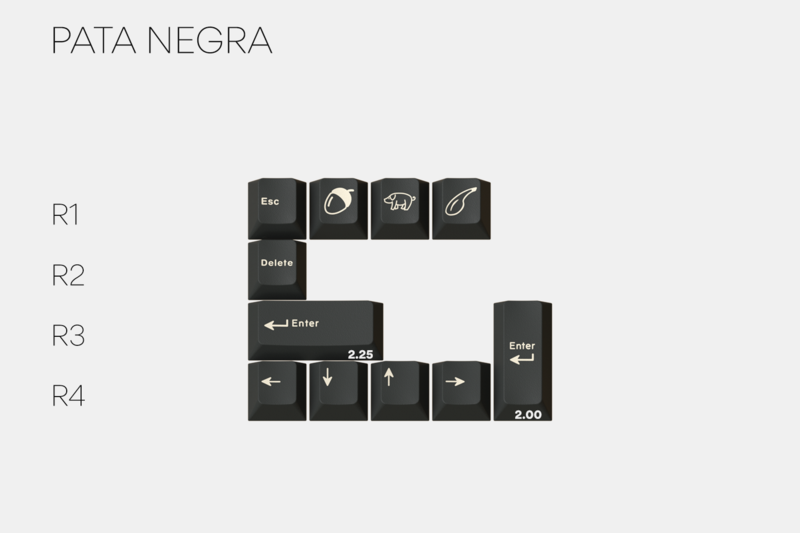 You can expect some black accent keycaps as a reference to Jamón Ibérico Pata Negra, a Siesta keycap, and other Spanish sterotypes. As for the Geometries, only the triangle will be available and it will most likely be a modifier R1 1.00U. One of the things I don't like to do is duplicate keycaps, like homing keys. 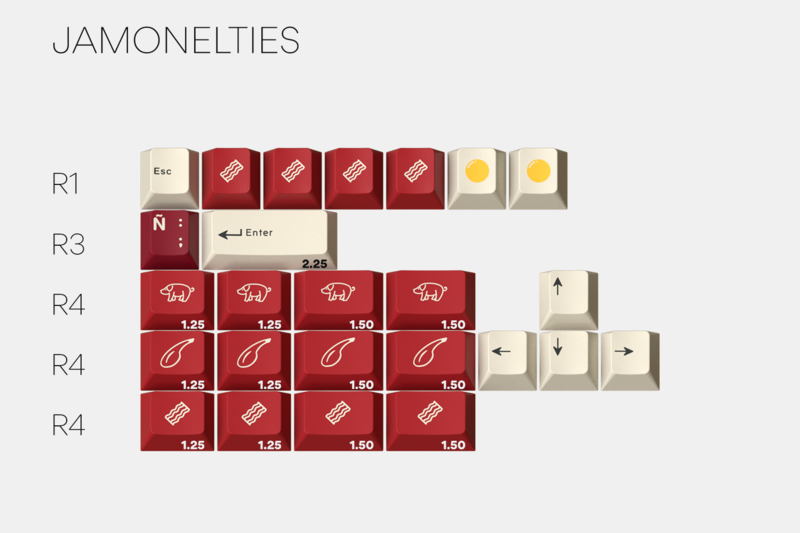 If it were for me, there would only be 2 scooped (F & J) and a dotted 5, just like the OG Cherry keycaps. Honestly I wasn't a fan of this set when I saw it evolve from joke to reality but... It's been growing on me. Great clarification on points. I guess the dream of Jamón on gammon near jamón will soon be real.